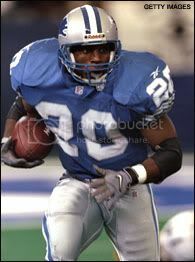 What does everybody think about either player being a Lion? I'm talking about talent and work ethic only. These guys are not criminals or drug addicts. They just need a coach or a vet or two to really give a crap. I think this team is enough of a Circus without adding more clowns. Honestly, not sure where i stand between their 2 stories, but not worth it for either of them (talent wise) at this point. The Lions Oline is in a perfect spot to just build on what they have at OT and OG. It would be a terrible idea to destroy the chemistry they have developed with new players when the guys they have at those spots already look to be ready to start at a high level. The only thing needed would be maybe an improvement on depth and a prospect at OC needs to be brought in to learn under Raiola or beat him out. Agreed. Was actually thinking more of the locker room and chemistry. Good call! If you're attempting to look stable, one thing you probably shouldn't do is smash your own Ferrari with a baseball bat. That's what Richie Incognito allegedly did this week. TMZ reported Wednesday that Incognito -- recently portrayed poorly in the Ted Wells report on the Dolphins hazing scandal -- had his Ferrari beat up with a baseball bat in front of his Arizona home. 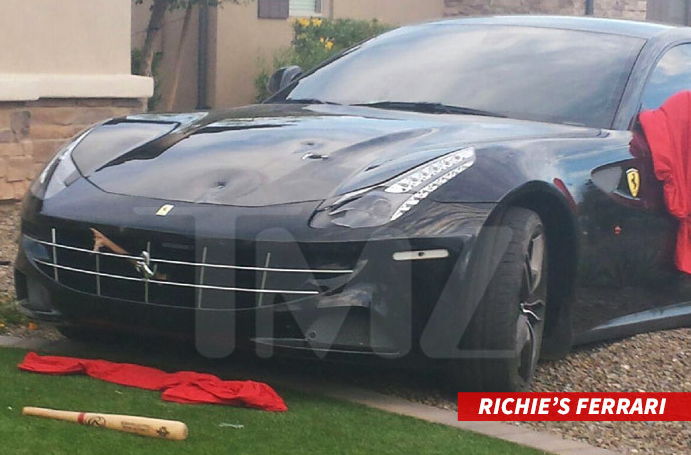 Now TMZ reports they were told by the Scottsdale Police Department that Incognito admitted to smashing the Ferrari with a bat by himself. In the video on the site, the Ferrari appears parked in front of a house, and it looks like the car is parked in the yard. There is a baseball bat lying in front of the car and it appears that part of the bat is lodged in the grill of the Ferrari. We'll see what actually comes out from the police, but if it was indeed Incognito who smashed the Ferrari, it's very much not a good look for a guy who's appearing to look less like an out-of-control, violent person. I'm pretty sure insurance won't cover that either. ok ive decided. It's not Martin thats a D-Bag...it's not Incognito...it's BOTH of em. I wanted to give benefit of doubt to either one of em, but Martin just looks like a shady whiny B%^$# every time i see more about him, and what I'd hoped what was friendly banter that got carried away by Incognito just looks more and more like him being an asshat. Im with you others, I dont care how good either of them play...they can stay the heck outa Detroit! I will give Martin credit for walking away. This is alot deeper than one teammate picking on another. Half of the team and staff were involved. One day Incognito is apoligizing to Martin 2 days later he is demolishing his oun Ferrari with a ballbat. Who is the steroid loaded, pshycotic freak? He has been involved in 3 or more incidents where he just lost it and accosted a woman or ripped his shirt off and went after an entire bar full of patrons. Andrew Luck whom Martin protected in college, has publically said that he would welcome Martin on his line. The only people that want Ritchie are dianabol starved wanna bes.